Hark! Celebrate the winter break around the hearth with a healthy helping of heartfelt holiday stories! First, Mr. Burns jacks up the cost of power in Springfield with alarming results! Then, Homer goes into hibernation for the winter. 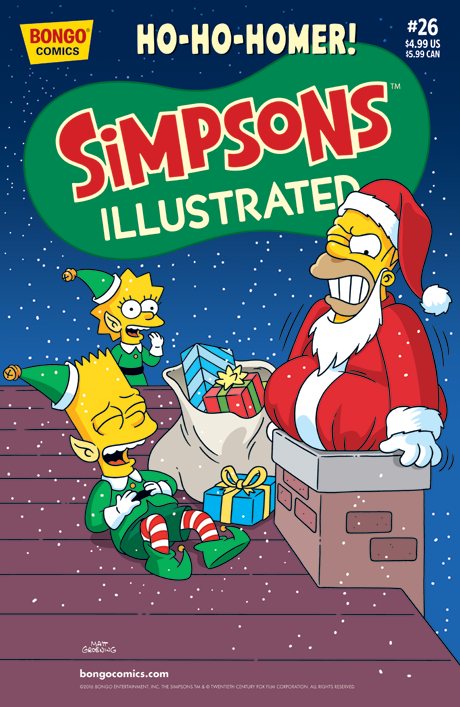 Next up, Ned Flanders gets a lesson in the “true” meaning of Christmas. And, when all the girls at Springfield Elementary try to capture Bart beneath the mistletoe, will he remain cootie-free? Finally, Homer does everything he can to get the whole family to attend the Springfield Holiday Parade.